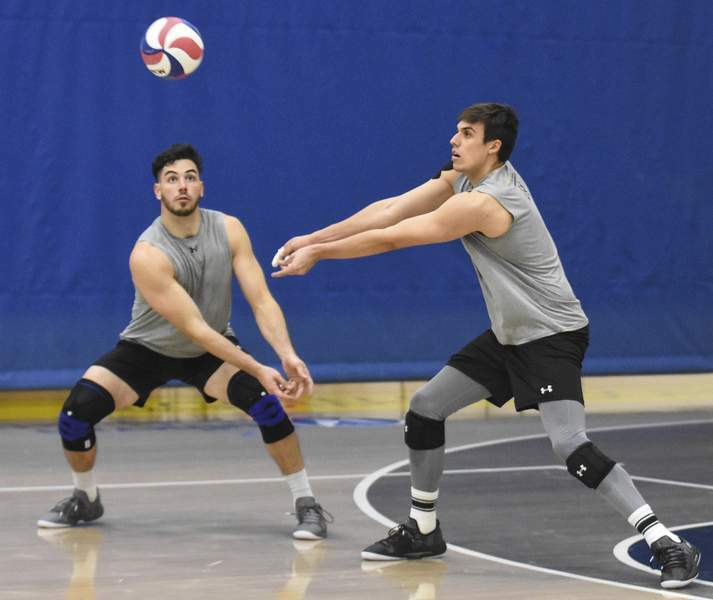 Michelle Davies | The Journal Gazette Pelegrin Vargas, left, is the Mastodons' top returning player after being all-MIVA and receiving All-America honorable mention. Michelle Davies | The Journal Gazette PFW's Michael Keegan, at Thursday morning's practice. 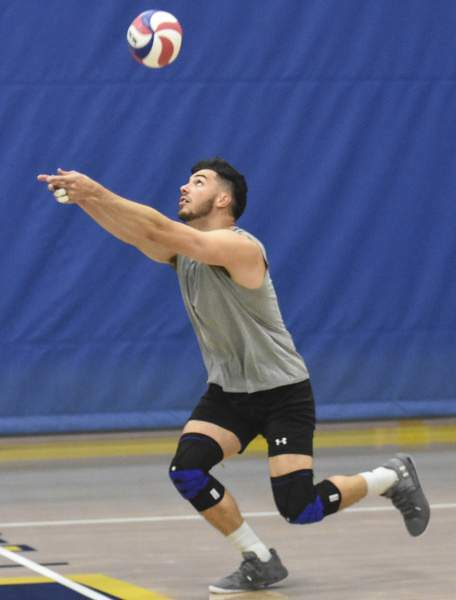 Michelle Davies | The Journal Gazette PFW's Pelegrin Vargas works on his serve during Thursday morning's practice. Michelle Davies | The Journal Gazette PFW’s Pelegrin Vargas, right, and Michael Keegan, left, at Thursday morning’s practice. Michelle Davies | The Journal Gazette PFW's Michael Keegan, left, at Thursday morning's practice. 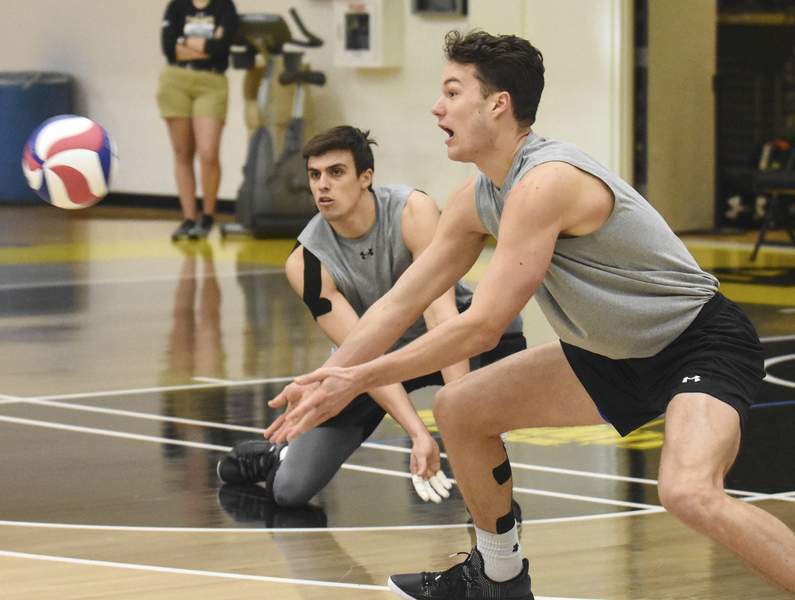 The Purdue Fort Wayne men's volleyball team exceeded expectations last season. Coming off a 5-23 season, the Mastodons went 18-11 and showed glimpses of re-emerging as a top program. And the process looks to be trending upward for PFW, which is ranked No. 14 in the American Volleyball Coaches Association preseason poll and picked to finish fifth in the Midwestern Intercollegiate Volleyball Association preseason coaches poll. It's the first time in Perrotte's tenure the team has been ranked in the preseason. The season begins today when PFW plays host to NJIT. The Mastodons return every player that started in at least 24 matches a season ago, including seven seniors and two juniors. “This year, because of the fact that we're a little more seasoned we were able to move forward quickly,” Perrotte said. “And because we've added some depth to our roster we're able to do more team training as opposed to individual. 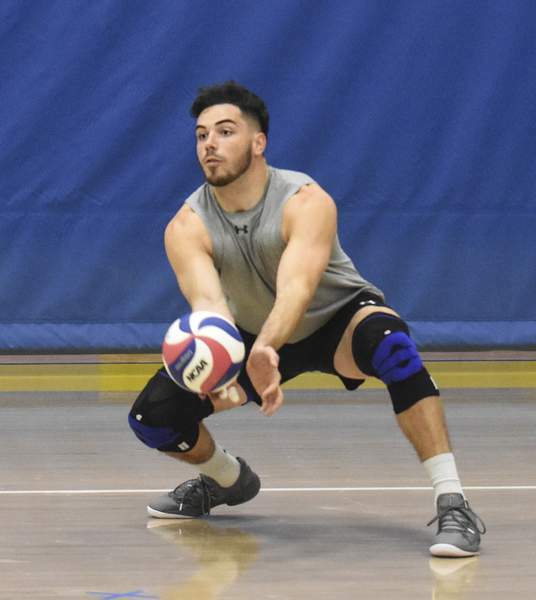 Leading that group of returners is junior Pelegrin Vargas, who was named to the preseason All-MIVA team. 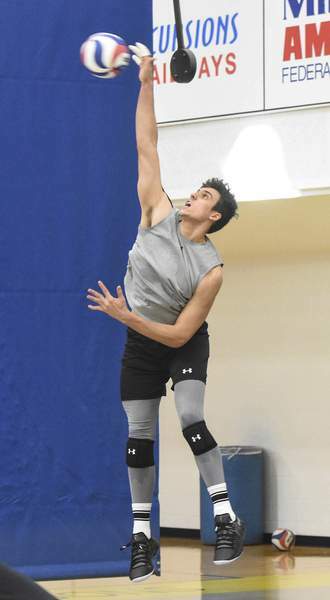 As a sophomore, he was named first-team All-MIVA and was an AVCA All-America honorable mention. Last season, he finished third in the MIVA kills per set with 3.75. Vargas said he got complacent last season when the wins started coming. He gained weight during the season and made it his mission to come back healthier and stronger this season. He lost 17 pounds in the offseason. Perrotte has noticed Vargas' work ethic in the weight room. PFW is one of four MIVA teams – Lewis (No. 7), Ohio State (8), Loyola-Chicago (9) – ranked in the top 15. In addition to league foes, PFW will face top 15 teamsUC Santa Barbara (10), Cal State Northridge (11) and Stanford (13). PFW will also play four of the remaining six teams that received votes including Ball State. Senior Michael Keegan thinks his team's ranking was underwhelming.